When considering a rear door for your business, you are probably thinking more along economical terms than appearance, since most of your customers are unlikely to see the rear door. That means that topics such as efficiency, cost, safety and durability are more likely to come into play. 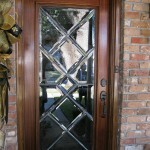 At Doors of Elegance, we have numerous locations that are convenient for people all over the area. You won’t have to go too far to stop by a store, given that we have locations on the Northshore and Southshore of Lake Pontchartrain in both New Orleans and Mandeville. For rear doors it may be particularly important to come out in person, as you can have a number of specifications that need to be relayed and a custom option may be more common than usual. This is part of the reason we have two locations on either side of Lake Pontchartrain in order to make your door shopping experience as convenient as possible in those times when you really want face-to-face assistance. Make sure that you consider how good of a job your rear door will do of keeping air on the inside of your building in and preventing outside air from coming in. 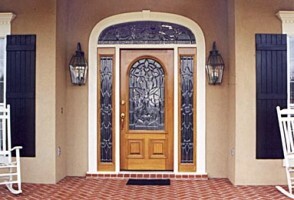 In other words, be sure to look for an energy efficient door that can help to keep your heating and cooling costs down. You also want your rear doors to be efficient from a business operations perspective. If you need to carry large items in and out of your store or building, you will likely be doing this through the rear door. 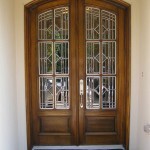 Thus you may want two doors side by side that can open to allow a wider entry way. Not all businesses will have this need, but it is something that you need to consider before you purchase your doors, not after. Keep in mind that while your customers are unlikely to see your rear door, you probably want it to be even more secure than your front door, as it may be more secluded and thus be more likely to suffer an attempted break-in. Thus, strong materials and additional locks are popular on rear doors. You may want a strong dead bolt, a locking bar or lever that can be inserted and thick, solid physical materials. This is a pure economical decision, but you will want to weigh the quality and durability of the rear door against its cost, as this is a major factor in the decision once you make sure that all of your options are safe, efficient and properly sized. It might be a good idea to stop by a store on the Northshore or Southshore of Lake Pontchartrain and take a look at the available options in person and talk to an expert who can help you decide what best suits your needs and budget. Make sure that you consult the building code and make sure that your new doors will comply with any regulations, as some businesses are required to have fire doors for safety reasons. 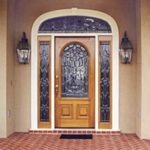 These are the types of things that you need to find out before you make your purchase, as you do not want to spend your money and take the time to install a door only to find out that it did not meet regulations and needs to be replaced right away. Talk to experts in one of our Doors of Elegance stores to get some advice on the door selection process so that you can make a good decision you will be confident in without going through to much frustration or hassle.